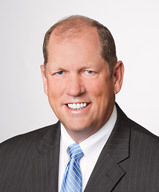 Brad Phillips has served as our Executive Vice President – Chief Financial Officer since January 2018. 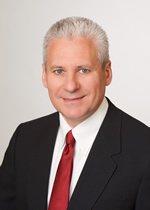 He has served in a number of different capacities for the Company since 1988. Most recently he served as our Vice President – Treasurer since May 2014. Previously, he held the positions of Treasurer from January 1993 to May 2014, Assistant Treasurer from January 1991 to January 1993, and Assistant Controller from October 1988 to January 1991. Prior to that, he was the Corporate Accounting Manager at Republic Health Corporation from 1984 to 1988, and from 1982 to 1984 he served in the audit group at Arthur Andersen. 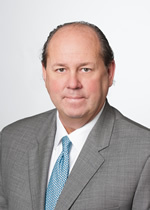 John O. Muse has served as Executive Vice President – Chief Administrative Officer since January 1, 2018. Prior to that, he served as our Chief Financial Officer from December 2014 to March 2017, our Chief Synergy Officer from January 2014 to December 2014, our Executive Vice President – Chief Administrative Officer from September 2012 to December 2013, our Executive Vice President – Finance and Administration from February 2000 to September 2012 and Vice President and Chief Financial Officer from October 1997 to February 2000. Prior to that, he was Vice President and General Manager at Consolidated Nutrition, L.C. from 1994 to 1997. He also held the position of Vice President of Premiere Technologies, a wholly-owned subsidiary of Archer-Daniels Midland Company from 1992 to 1994. From 1971 to 1992, Mr. Muse was Assistant Treasurer and Assistant Secretary at Central Soya Company, Inc.
Rick A. Elrod has served as our Executive Vice President – Darling U.S. Rendering Operations since April 2015. He has extensive experience in raw material procurement and plant operations, having served the Company in various managerial capacities since joining our subsidiary, Griffin Industries, in 1984. Most recently, he served as the Company’s Senior Vice President – Eastern Region from January 2011 to April 2015. Mr. Elrod is involved in several state associations within the industry as well as the National Chicken Council, the U.S. Poultry Protein Council and the National Renderers Association. Jan van der Velden has served as our Executive Vice President – International Rendering and Specialties since October 2017. He has served in a number of different capacities for Darling Ingredients International (formerly known as VION Ingredients) since June 1989. Most recently, he has served as the Executive Vice President – ERS from January 2014 to October 2017, Managing Director of ERS for VION Ingredients from March 2012 to January 2014, and the Vice President Raw Materials & Logistics for VION Ingredients from January 2001 to March 2012. From May 2005 to March 2012, he also served as the managing director of VION Ingredients Germany. He also served as a member of the board of VION Ingredients. John Bullock has served as our Executive Vice President – Chief Strategy Officer since January 2014 and has been in charge of our U.S. Specialty Ingredients businesses since 2015. Prior to that, he served as our Senior Vice President – Business Development from May 2012 to December 2013. Mr. Bullock began his career at General Mills, Inc. in 1978 in ingredient purchasing and risk management. From 1991 to 2004, Mr. Bullock worked for ConAgra Foods Inc., where he led the mergers and acquisitions group of the ConAgra Trading and Processing Companies, with responsibility for leading the company’s growth initiatives and acquiring numerous businesses throughout the world. From 2004 to May 2012, Mr. Bullock operated JBULL INC., a boutique consulting firm he formed specializing in enhancing margin opportunities for agricultural business expansions and developing renewable fuels, during which time he consulted on numerous projects for our company, including its effort in the development and construction of the Diamond Green Diesel facility. 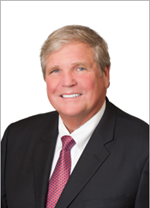 John F. Sterling has served as our Executive Vice President – General Counsel and Secretary since August 2007. 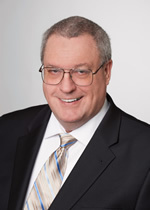 From 1997 to July 2007, Mr. Sterling worked for Pillowtex Corporation, where he served as Vice President, General Counsel and Secretary since 1999. 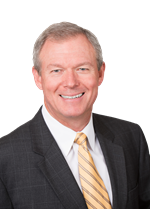 Mr. Sterling began his career with the law firm of Thompson & Knight LLP, where he was a member of the firm’s corporate and securities practice area. Jos Vervoort has served as our Executive Vice President – Rousselot since May 2017. He has served in a number of different capacities for Darling Ingredients International (formerly known as VION Ingredients) since March 2006. Most recently, he served as Vice President of Rousselot from November 2015 to May 2017. 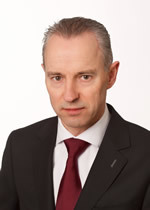 From January 2008 to November 2015, he served as Managing Director of Rousselot EMEA. He also served as a member of the board of VION Ingredients.